'Teleport' and 'Mark and Recall' must now be bought from Tolfdir. 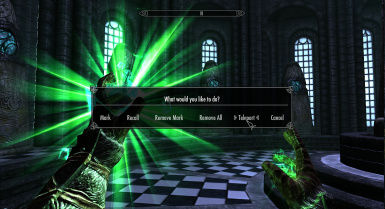 CHECK THE IN GAME MCM TO CONFIGURE SPELLS. 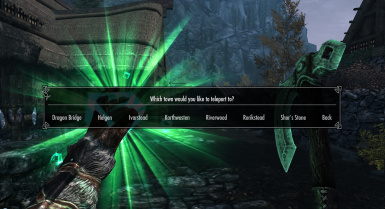 -Changed the frequency of spells appearing on Tolfdir so that he will always have both. -Lowered spell cooldown times by half. Maximum of 5 minutes under 10 Alteration to 0 at 100 Alteration. Lowers by 30 seconds every 10 Alteration levels. -Added new mechanic to Alteration Mastery: Movement slowing penalty while casting. Maximum of 50% under 10 Alteration to 0 at 100 Alteration. Lowers by 5% every 10 Alteration levels. -Reduced the price of spell tomes. -Added small descriptions in MCM when highlighting options. -The old config shout is now automatically removed from players. -Fixed a few small issues with update checking scripts. Various small tweaks, fixes, optimizations, and other things I've forgotten. a non-concentration version that works with grimy's hotcast spells and apocalypse's "knowledge is power" spell would be amazing. 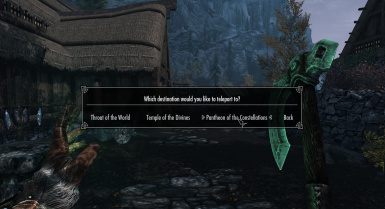 do I have to convert this into form 44 or something like that in creation kit for sse? please make a port to SSE, i try to use this mod over my SSE games, the only part that dont work is the part that is link to JContainers as JContainers cannot be loaded via SKSE 64. Most of the functions work, but I have to disable cooldown as I think cooldown is linked to JContainers. I know this is an old post, but good news: JContainers works now. I've been getting game freezes and infinite load screens on occasion while I'm using the spell. Has anyone else ran into this? I am already using enboost and my system way more than is needed to play skyrim. P.S. I love the mod! Best way to get around quickly. would be nice a non concentration version to be used with smartcast. mark and recall on my game isnt working. i can cast it just fine, but i cant move the cursor around, only the highlighting, and the keys to navigate are wrong, it asks to press R to move forward and tab to exit and but i can only press tab and all it does is choose the first option, so i end up always marking the same place overriding over and over again. I love the idea, and I was very enthused over the vast breadth of features available. Unfortunately jcontainers 3.1.1 obliterated AHHotkeys, which relies on an earlier version of jcontainers. 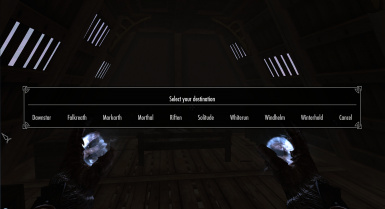 I know, mod conflict and not a bug, but I can't play Skyrim without AH. My loss. Still, ambitious and it looks hella cool. Endorsed anyway. 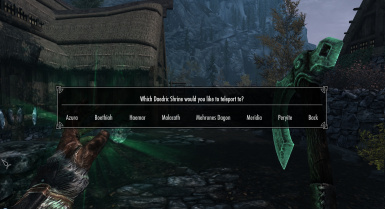 Love this mod really wish I had it for my SkyrimVR play through. Wow man, Im impressed you kept working on this till 2015, havent played since I think. 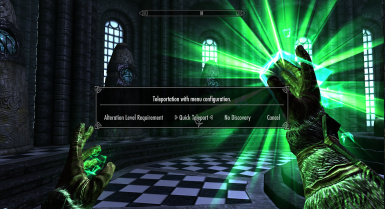 I remember testing this spell with you, its still my goto choice for teleportation in Skyrim. Is there a way to return from a recalled location? 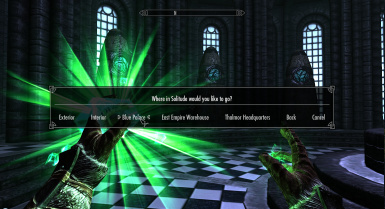 IE: mark location to a modded in home, be in a dungeon and recall to your modded home then return to the dungeon? Make another mark. You can reuse that slot later if you need to. 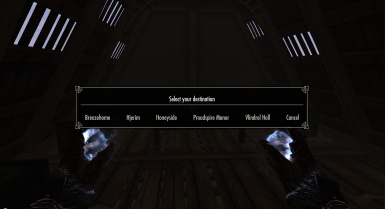 Alternatively, if you use the teleport spell as well and live in a vanilla player home you can teleport home, then select the "return" option to go back to the dungeon.